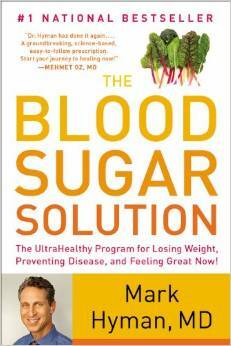 The Blood Sugar Solution: The UltraHealthy Program for Losing Weight, Preventing Disease, and Feeling Great Now by Mark Hyman, M.D. Dr. Mark Hyman reveals that a balanced insulin level is the secret to losing weight and preventing diabetes, heart disease, stroke, dementia, and cancer. The seven keys to achieving wellness – nutrition, hormones, inflammation, digestion, detoxification, energy metabolism, and a calm mind – are found in his revolutionary six-week healthy-living program. With advice on diet, green living, supplements and medication, exercise, and personalizing the plan for optimal results, this book also teaches readers how to maintain lifelong health. Groundbreaking and timely, The Blood Sugar Solution shows you how to lose weight, prevent disease, and feel better than ever. Learn what you can do to clear your brain and ward off disease. Neurologist David Perlmutter, MD, offers an in-depth look at how we can remedy our most feared maladies without drugs. 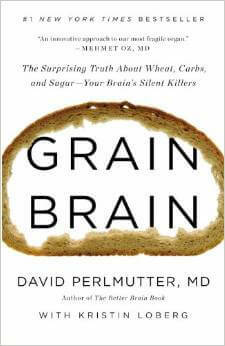 Buried in medical literature is the fact that carbs are destroying your brain – even healthy ones such as whole grains can cause dementia, ADHD, anxiety, chronic headaches, and depression. Dr. Perlmutter explains what happens when the brain encounters common ingredients in carbohydrates, why your brain thrives on fat and cholesterol, and how you can spur the growth of new brain cells at any age. Sarah Ballantyne, Ph.D., earned her doctorate in medical biophysics at the age of 26 and spent the next four years doing research on innate immunity and inflammation before becoming a stay-at-home mom. After her second daughter was born, she began to experiment with the Paleo lifestyle. It had an amazing effect on her health. Over time, she healed herself of a long laundry list of physical complaints including irritable bowel syndrome, allergies, and the autoimmune disorder, Lichen Planus, an inflammatory skin condition. 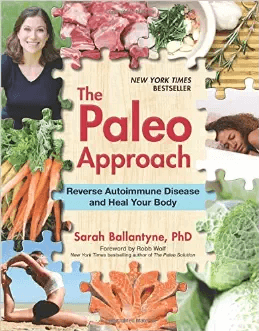 Drawing on her personal experience and current medical research, Dr. Ballantyne shows you how to become symptom-free of any number of autoimmune diseases, increase your energy, and love your life again. You can become completely symptom-free and feel great – the natural way. If you want to lose weight – up to 75 pounds in six months – or if you want to attain optimal health, The Paleo Diet will work wonders. Dr. Loren Cordain demonstrates how, by eating your fill of satisfying and delicious lean meats and fish, fresh fruits, snacks, and non-starchy vegetables, you can lose weight and prevent and treat heart disease, cancer, osteoporosis, metabolic syndrome, and many other illnesses. The Paleo Diet is the only diet proven by nature to fight disease, provide maximum energy, and keep you naturally thin, strong, and active. It’s not difficult to radically improve your appearance and your health – you just have to do it. Research biochemist Robb Wolf traded in his lab coat to become one of the world’s most sought after strength and conditioning coaches. As a coach and a scientist, Wolf’s unique perspective will help you learn how simple nutrition, exercise and lifestyle changes can help you lose fat and stay young while avoiding cancer, diabetes, heart disease, Parkinson’s, Alzheimer’s and a host of other illnesses. 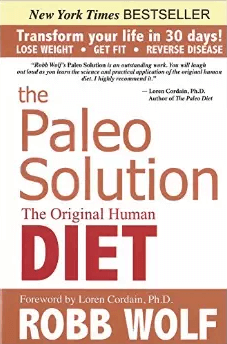 The Paleo Solution incorporates the latest, cutting-edge research from genetics, biochemistry and anthropology to help you look, feel and perform your best. Improve the way you look and feel without counting calories, diet foods, or deprivation. 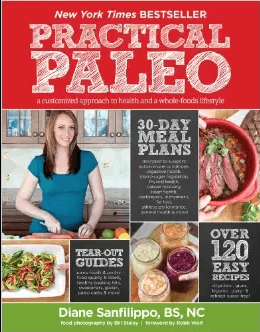 Containing 120 easy recipes with special notes about common food allergens, Practical Paleo gives you recipes and plans to follow using real foods that will truly nourish your body. Achieving optimal health is possible and, even better, you may reduce or completely eliminate symptoms associated with common health disorders. 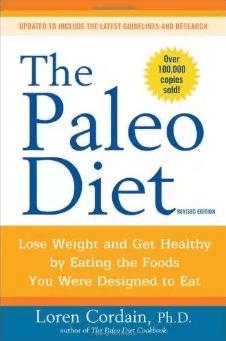 Learn how a Paleo lifestyle can benefit you, your family and your friends. Good news! Getting older does not mean you have to experience memory loss. Aging does not have to be painful or filled with disease. In his quest to heal himself, Dr. Hyman discovered the answers to having a sharp, clear mind and living disease free. 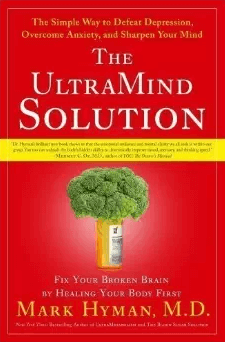 In his book, The UltraMind Solution, he teaches you what he learned: how to pinpoint biological problems, fix them, and let your body’s natural healing intelligence take over to repair your brain. You can remedy your health issues, restore your brain function and control your aging process. Read Dr. Hyman’s book and learn how to have an UltraMind and healthy body. Sought after nutrition expert and fitness trainer JJ Virgin, with more than two decades of experience and whose clients include Hollywood A-listers, reveals the secret behind weight gain and weight loss. 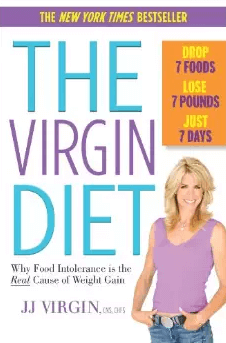 In her groundbreaking book, she explains that food intolerance is the sabotaging force behind those struggling to lose weight. The book walks you through the steps to a healthier, more energetic life while teaching you how to rid yourself of nasty symptoms like bloating, breakouts, headaches, achy joints and—worst of all—stubborn weight gain. You’ll learn to avoid eating the seven foods that are most likely to cause food intolerance, while eating healing foods to reclaim your health and look and feel years younger. An MS diagnosis in 2000 led Dr. Terry Wahls on a quest to reverse the symptoms she experienced – by 2003, her stomach and back muscles had weakened to the point she needed a tilt-recline wheelchair. Her research led her to the nutrient-rich paleo diet which she integrated into a regimen of neuromuscular stimulation. First, she walked slowly, then steadily, and then she biked eighteen miles in a single day. 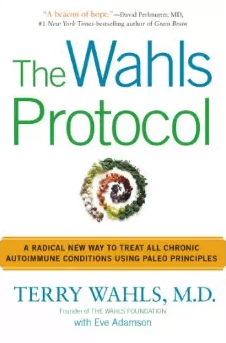 In The Wahls Protocol, she shares the details of the protocol that allowed her to reverse many of her symptoms, get back to her life, and embark on a new mission: to share the Wahls Protocol with others suffering from the ravages of multiple sclerosis and other autoimmune conditions. Preventative cardiologist William Davis calls the unattractive bulges at our waistlines “wheat bellies.” According to Davis, that excess fat has nothing to do with gluttony, sloth, or too much butter: it’s due to the whole grain foods that make up a big part of what we eat. 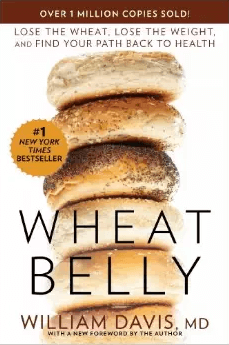 Supported by cutting-edge science and nutrition, along with case studies from men and women who have experienced life-changing transformations in health after eliminating wheat from their diets, Wheat Belly is an illuminating look at what is truly making Americans sick and an action plan to clear our plates of this seemingly benign ingredient to regain our health and vitality.